IT HAS been announced by Cabinet Secretary for Transport, Infrastructure and Connectivity, Michael Matheson MSP, that Lorna Jack had been appointed as chairwoman of the Board of Highlands and Islands Airports Limited (HIAL), operators of several airports, including Kirkwall Airport. Ms Jack is a chartered accountant and a graduate of Aberdeen University. She joined the Board of Highlands and Islands Airports Limited as a non-executive director in March 2014 and chaired its Audit Committee for over three years, until she was invited to take on the interim chair role in October 2017. 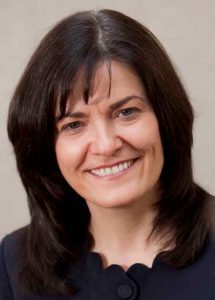 Ms Jack remains the chief executive of the Law Society of Scotland and is an independent member of the Court of University of Aberdeen and a member of its Governance and Nominations Committee. She is also a trustee and treasurer of the McConnell International Foundation. • Highlands and Islands Airports Limited (HIAL) is a public body wholly owned by Scottish Ministers. The Company operates and manages 11 airports in the Highlands and Islands (Barra, Benbecula, Campbeltown, Inverness, Islay, Kirkwall, Stornoway, Sumburgh, Tiree and Wick) and Dundee.